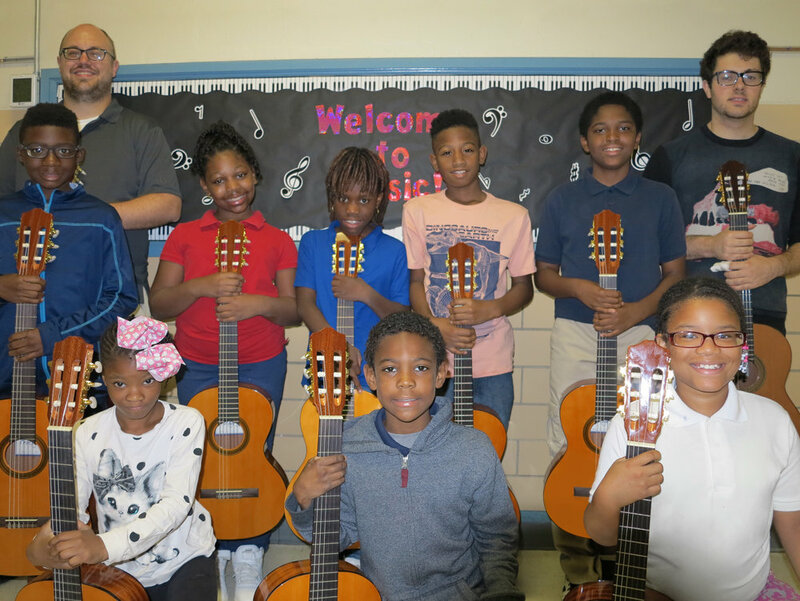 This fall, students at Bermuda Elementary school received a set of new guitars thanks to a grant from the Old Newsboys Fund secured by St. Louis Classical Guitar! Located in Florissant, MO, Bermuda Elementary is part of the Ferguson-Florissant School District, and enrolls 265 students from kindergarten through 6th grade. Our Guitar Horizons education program at Bermuda serves 4th grade students and is led by classroom music teacher Skip Thompson and SLCG Teaching Artist Sam Jennings. Old Newsboys is a non-profit organization that has raised millions of dollars for hundreds of area children's charities. Fund-raising activities occur throughout the year. However, once a year, as suggested by its namesake, money is raised with special editions of the newspaper sold for donations at hundreds of street corners. Funding helps ensure every child in the St. Louis area has an equal opportunity to live a healthy, educated life. This year’s edition of the Old Newsboys paper will include a special feature on our program at Bermuda Elementary School. Old Newsboys Day takes place on November 16, 2018 and all money raised from newspaper sales are given back to the causes supported by the organization.